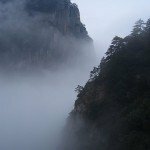 Lying in a geographical depression between China’s western highlands and China’s coastal ranges, Jiangxi is bound by the provinces of Hubei and Anhui to the north, Zhejiang and Fujian to the east, Guangdong to the south, and Hunan to the west. At 164,800 km2, Jiangxi is slightly smaller than Iraq. 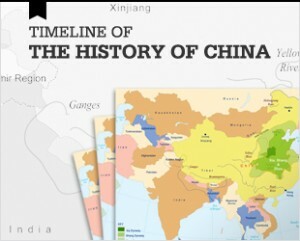 Prior to being conquered by the Qin Dynasty (221-206BCE), Jiangxi had been ruled by varying states including the Wu, Yue and Chu. 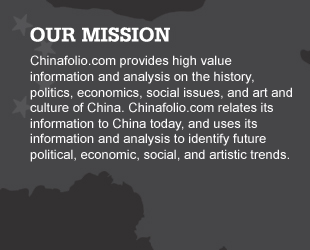 However it wasn’t until the Han Dynasty (206BCE – 220CE) that China consolidated its imperial rule over the region. 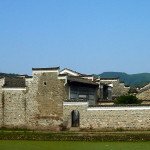 Through much of China’s Age of Division (220 CE – 618 CE) large numbers of families migrated into Jiangxi fleeing unrest in China’s north. 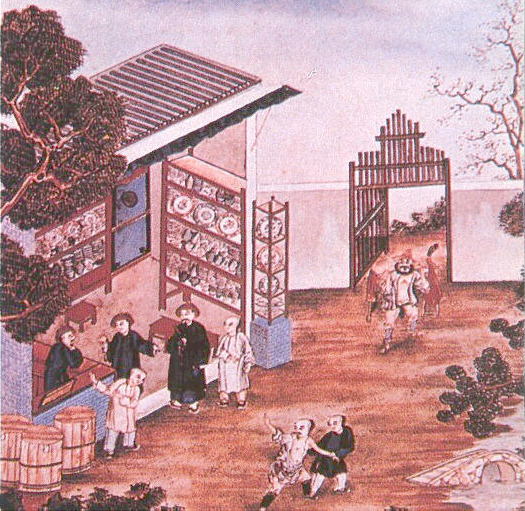 Initially, their migration into the area caused conflict with Jiangxi’s native inhabitants, but overtime, the northerners were assimilated and Jiangxi benefitted by the dissemination of their northern arts, culture and administrative skills. After the fall of the Qing Dynasty in 1911, Jiangxi became one of the first bases for the nascent Chinese Communist Party. In 1927, for four days the Communists took command of Jiangxi’s capital Nanchang, in the name of the newly created Workers and Peasants Red Army before being forced by the Nationalists to retreat to the hills. Although what is now known as the Nanchang Uprising was unsuccessful, Communists still consider the uprising to be the genesis of the People’s Liberation Army. Despite the Uprising’s failure, Chinese Communist power in Jiangxi continued to grow; by 1931, Jiangxi’s city of Ruijin was announced to be the capital of the Chinese Soviet Republic. The Nationalists battled against Communist power in Jiangxi by launching a series of encirclement campaigns that eventually caused Jiangxi’s Communists to flee in what became known as the Long March. 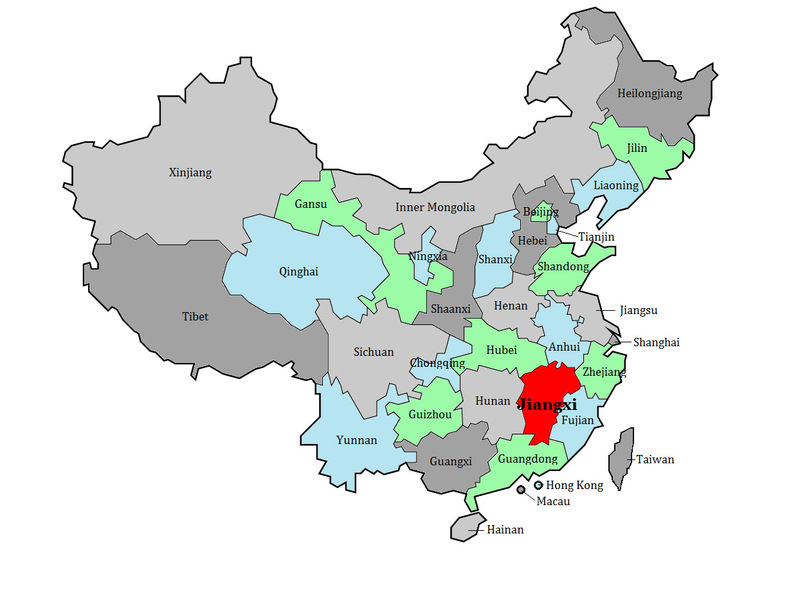 Jiangxi has a population of over 45 million people. Over 99% of Jiangxi residents are ethnically Han, although small populations of Hakka, She, Miao, Yao and Hui also reside in the province. 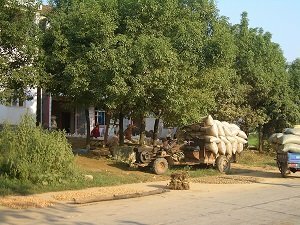 The majority of Jiangxi residents live in rural areas. 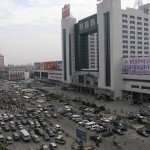 Jiangxi’s capital city Nanchang has a population of about 5.2 million people, about 1 million of which are migrant workers. 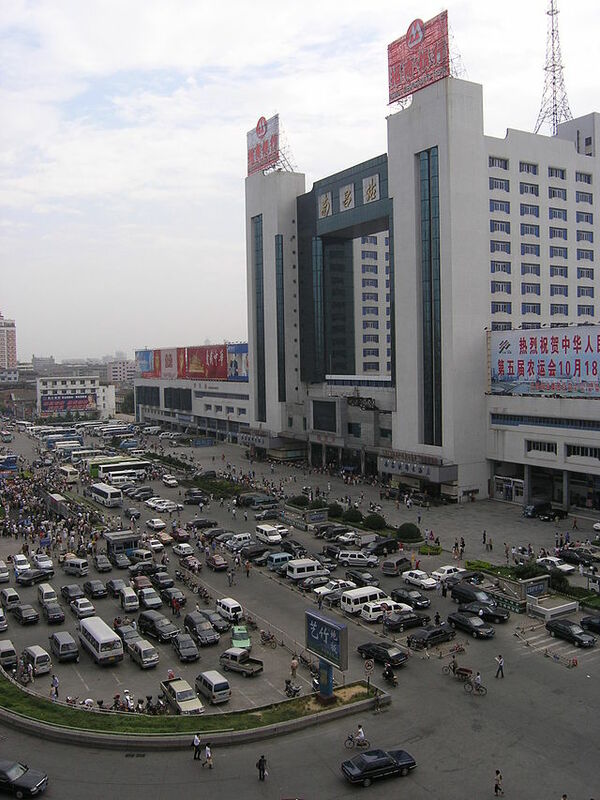 Another 8.9 million people live in greater Ganzhou, Jiangxi’s largest city. According to a 2009 British Medical Journal study, Jiangxi has one of the highest unbalanced gender ratios in all of China, with an estimated 140 boys for every 100 girls in the 1-4 age group. 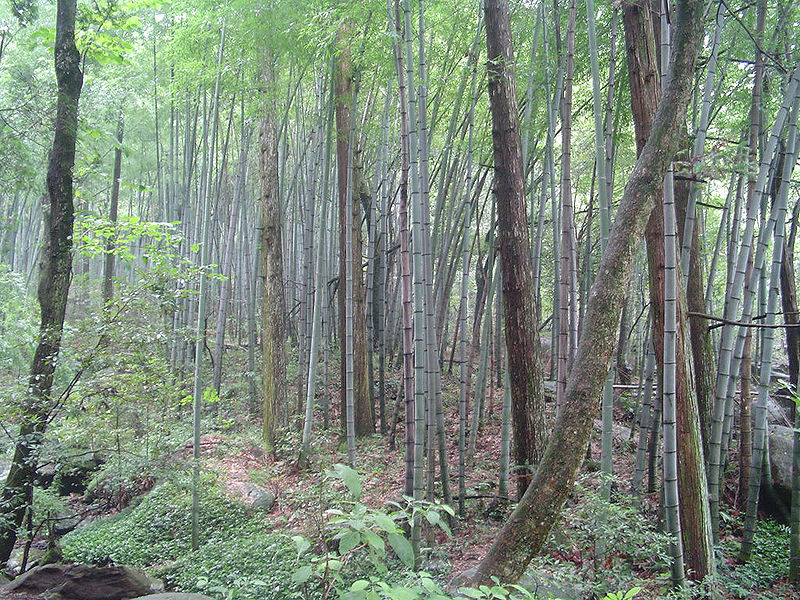 it additionally has an estimated 1 billion bamboo plants. From its forest resources, Jiangxi produces a large array of timber by-products including tung oil, resin, turpentine, lampblack and tea oil. Livestock raised in Jiangxi include water buffalo, pigs, chickens, and ducks. Its aquaculture industry specializes in rearing carp among an array of other fish. Wild fish are caught in Lake Poyang and in Jiangxi’s rivers. Jiangxi’s modern industry did not start developing until after the Communists took power in 1949. Today, Jiangxi manufactures textiles, automotive parts, textile machinery, and petrochemicals, and engages in metallurgy and food processing. Jiangxi also has a thriving handicrafts industry, and is known for its ramie cloth, and for its bamboo and its rice and mulberry straw paper. Jiangxi is also famous for its porcelain production; Jiangxi’s Jingdezhen has been firing fine porcelain since the Song Dynasty (960-1279). 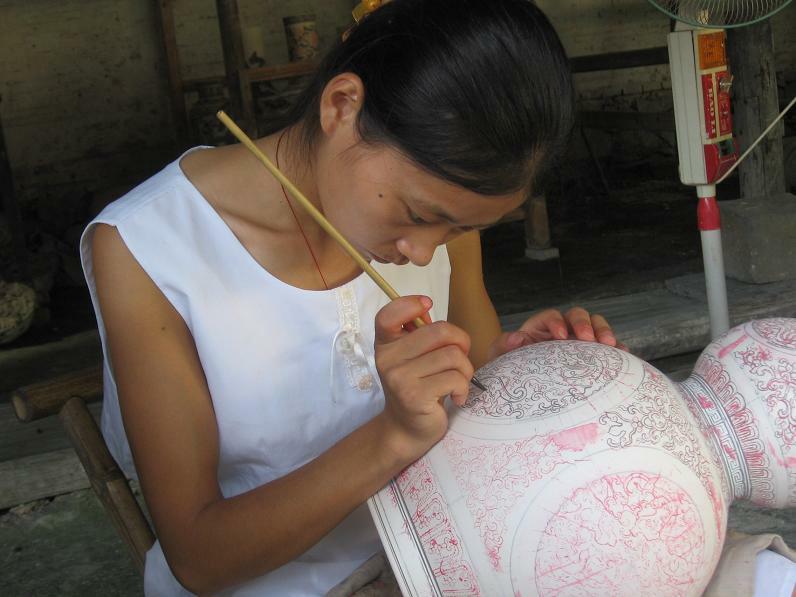 Even today, most Jingdezhen residents are still employed in some aspect of porcelain manufacturing. 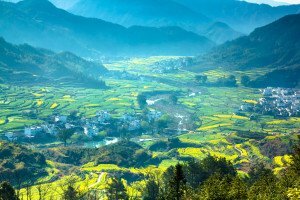 Notable about Jiangxi’s mountains is that they have many easily traversed paths and corridors, allowing for easy interprovincial communication, especially between Hunan and Guangdong. The southern half of the province is hillier with mountains and valleys intermixed, while Jiangxi’s northern half is more level with lower elevations. 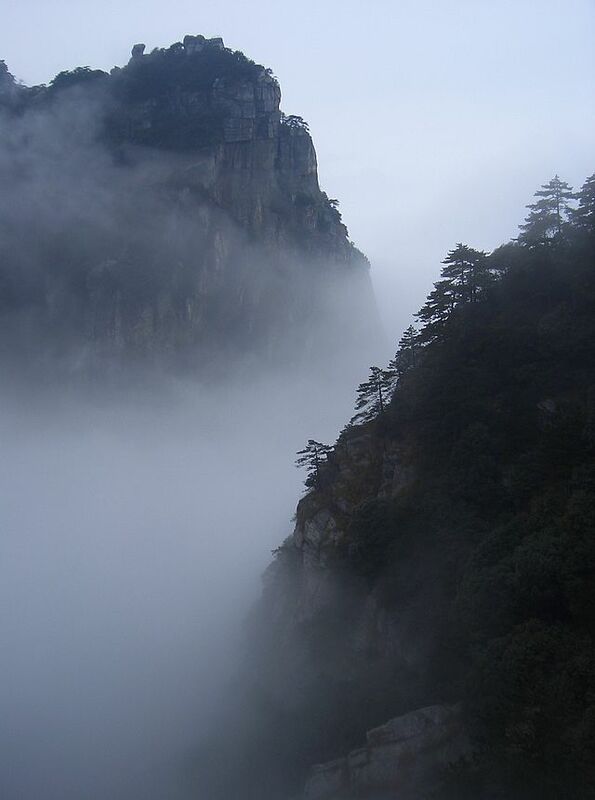 At 2,157 meters, Mount Huanggang is Jiangxi’s highest peak. Running through the province are more than 2,400 rivers and streams. 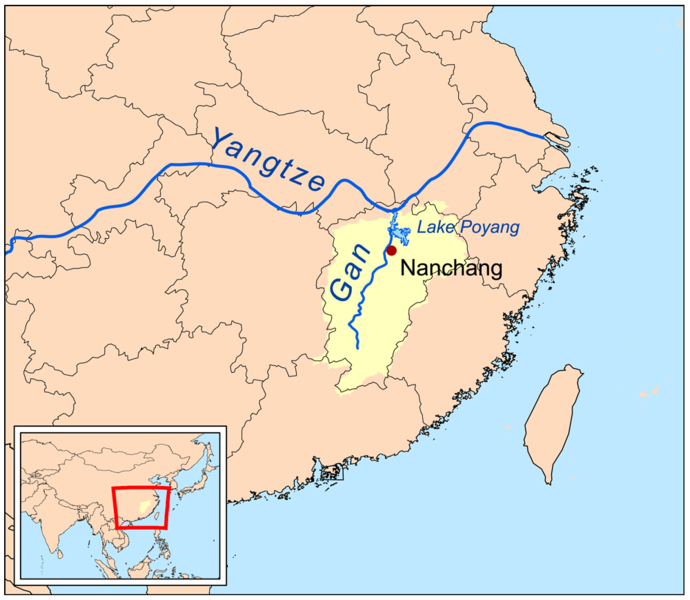 The Gan River is the most important of these rivers, flowing through the entire length of the province from south to north. It goes into Lake Poyang in the north, China’s biggest freshwater lake; Poyang in turn drains into the Yangtze River, which makes up part of Jiangxi’s northern border. The Gan’s headwater is formed by two streams which converge at Ganzhou. 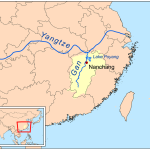 As it proceeds through Jiangxi, the Gan is joined by large and small tributaries as it makes its way north. Other major Jiangxi rivers include the Fuhe, Xinjiang, Xiuhe and Raohe. Eventually, almost all of Jiangxi’s rivers drain into Lake Poyang. Lake Poyang is linked to with the Yangtze by a broad neck at Hukou, just east of the Yangtze port of Jiujiang. In summer, when the Yangtze gains water from snow melt, Lake Poyang grows in size and depth. If the Yangtze, the Gan, and other rivers all hit high water simultaneously then floods – at times catastrophic – occur. Jiangxi enjoys a humid subtropical climate, with short, cool, damp winters, and very hot, humid summers. South of Nanchang is the 200 km2 Longhu Shan Scenic Area. 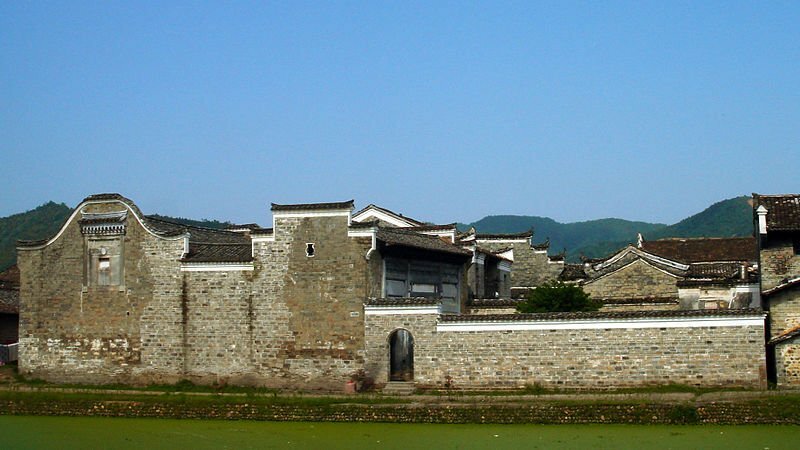 Set in beautiful countryside, highlights of Longhu Shan include the Residence of the Celestial Masters, a well-preserved temple; the Daoist Museum; the Geology museum, providing information about Longhu Shan’s formation; and Elephant Trunk Hill, where 2500 year old hanging coffins can be seen. To the east of Nanchang is a string of old villages, connected by a well-trodden path. The more than 1000 year old Luotiancun village is a maze of cobblestone streets, old homes and storefronts. Although Wuyuan offers the traveler little of interest, being another formulaic modern Chinese city, its encircling countryside is dotted with charming villages characterized by cobblestone streets, centuries-old residences, and old bridges crossing ancient rivers. Picturesque villages include Xiaoqi, Qingyuan, Little Likeng, Sixi and Yancun, Qinghua, Big Likeng. Lushan, in Jiangxi’s far north at the northern tip of Poyang Lake, has been center of Buddhist, Daoist and intellectual thought for over 1500 years. Although the Taiping Rebellion destroyed the majority of its ancient temples when it ravaged the area, the European colonialists and missionaries came in afterwards and constructed a number of villas in the town of Guiling. Notably, Pearl Buck spent her summers there. A daughter of missionaries who spent her entire early life in China, Buck won the Nobel Prize for Literature in 1938 for her ‘rich and truly epic descriptions of peasant life in China’. During the Communist era, Lushan became a retreat and conference center for the ruling elite. Its sights include Meilu Villa built by Chiang Kai-shek for his wire Son Meiling; Premier Zhou Enlai’s former residence; the People’s Hall, the site of Chinese Communist Party Conferences between 1959 and 1970; and the Lushan Museum, which is Mao Zedong’s former residence.